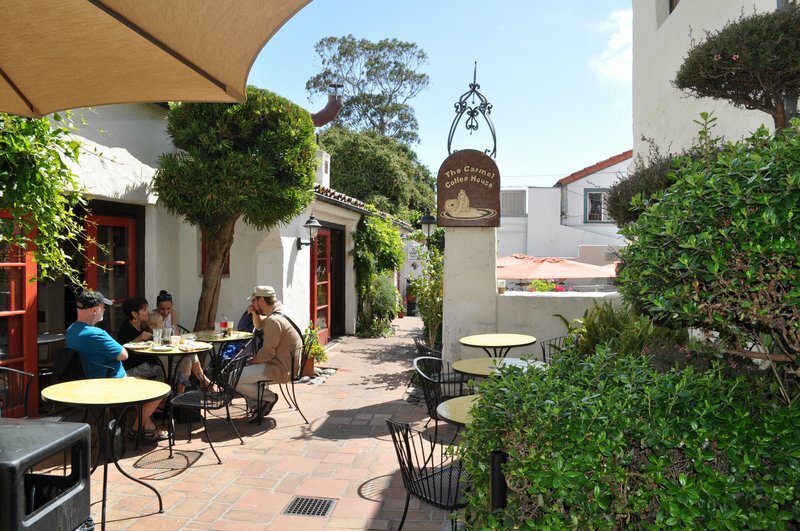 We hand roast in small batches ALL of our 100% Organic coffee beans right on Ocean Avenue in Carmel-by-the-Sea. We also have a nice selection of loose leaf tea. Enjoy our outdoor patio with your four legged friends. With our speedy counter service you can enjoy a breakfast burrito, pastries, bagels, muffins, homemade soup, quiche, wraps and assorted desserts with the best cup of coffee on Ocean. He created our “Gus” several months before he passed away in 2008. We traded the drawing of “Gus” the otter for what turned out to be his last birthday cake. He was a wonderful man, full of life and we are so grateful to have known him. He is missed by all, but “Gus” the otter keeps him alive in our hearts every day.